This past weekend I went to New York City with my friend, Sarah, for a girls’ trip. 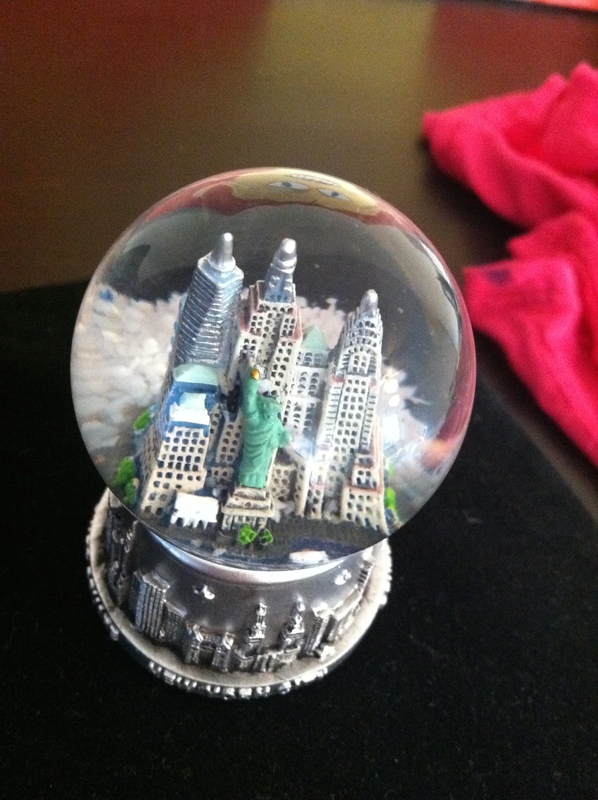 The last time we traveled together to Manhattan was two years ago for my birthday, which falls during the wintertime. So being able to go during some of the nicest summer days was pretty perfect. We’re happy travel companions and mainly stuck to walking, browsing, and taking in a few good meals. As a side note: I often think about how much or how little to blog when I travel, even if it’s a day trip into my own city of Chicago. I can easily spend the whole time looking through a viewfinder. I love to see things from this perspective, and it’s also great for getting ideas. Balancing being present with capturing the present has always been tricky for me. This trip I brought my camera, my notebook, and all of my good intentions. In the end though, I left the camera in the hotel and used my phone for the occasional photo-op. I jotted down notes when we stopped for lunch, or at the end of the day, back in the room. I really tried to focus on being in the moment. It was a nice balance. I wasn’t worrying about the kids, who were running around happily at an Iowa county fair with their dad and their grandparents. I wasn’t really worrying about anything. It was four days of walking, talking, eating and shopping. Bliss. 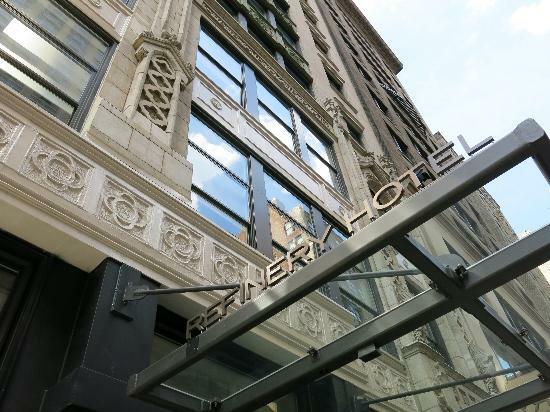 Refinery Hotel (63 W. 38th Street @ 6th Avenue / Garment District). A boutique hotel carved out of a vintage building that once housed working milliners. I loved the midtown location and the super nice staff. Broadway Bites (33rd Street @ Broadway / Midtown). A variety of outdoor kitchens in one square, with well-known and lesser-known food and drink vendors. Tasty does not even begin to describe what’s going on. Here’s what our lunch looked like from La Sonrisa Empanadas. Rosemary’s (18 Greenwich Avenue @ 10th / Greenwich Village). This bustling Italian restaurant has a great neighborhood vibe. Walk-in only, so we had to wait a little while for our table. Good thing for Le Baratin, the french cafe a few doors down – a mellow place to start with drinks and a cheese plate. ‘sNice (315 5th Avenue @ 3rd Street / Park Slope, Brooklyn). A yummy vegetarian and vegan menu in an airy, well-lit space. Nicely positioned along Park Slope’s boutique row. Navy (137 Sullivan Street @ Prince / SoHo). This unassuming oysters and seafood place sits on a pretty tree-lined street. It’s tiny! Blue and white tiles, tea lights and hardwood everywhere make it super cozy. We chose this place to meet up with our friend, Allison. After ordering the Crispy Gnocchi, Squash Blossoms, and Black Bass Crudo, the three of us took in some seriously good people-watching. 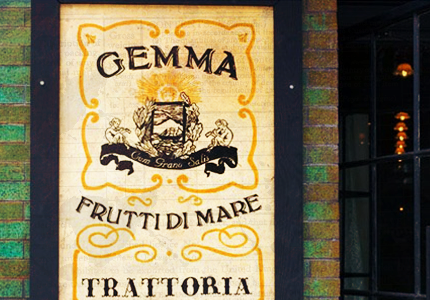 Gemma (335 Bowery @ 3rd Street / East Village). 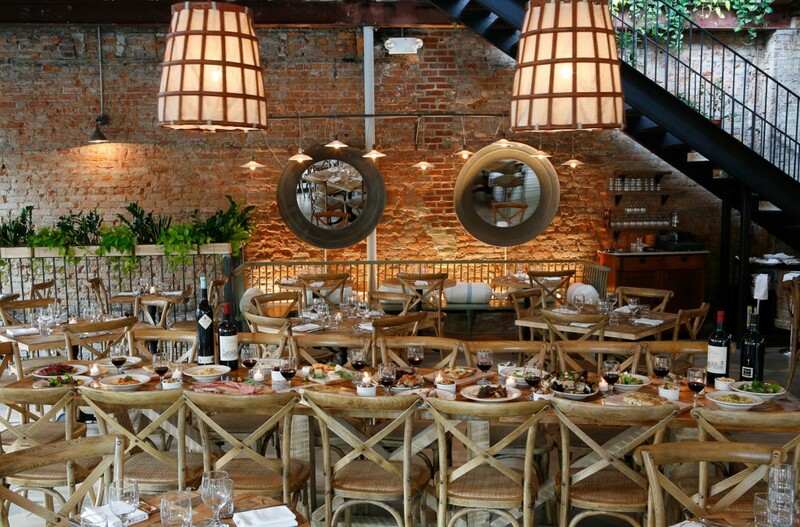 Urban chic with an amazing brunch menu and great potential for star-sightings. Sarah once sat next to a very handsome, very British soccer player here. Though the closest we got was someone who kind of, sort of looked like Zachary Quinto. Maybe. Co. (230 9th Avenue @ 24th Street / Chelsea). Yummy, chewy, thin-crust pizza with a bit of char. Busy into the night with equal parts young families and twenty-somethings. John Derian Company (6, 8 & 10 East Second Street @ 2nd Avenue / East Village). Sarah designs interiors and event spaces, so we stopped into many antique and home shops. 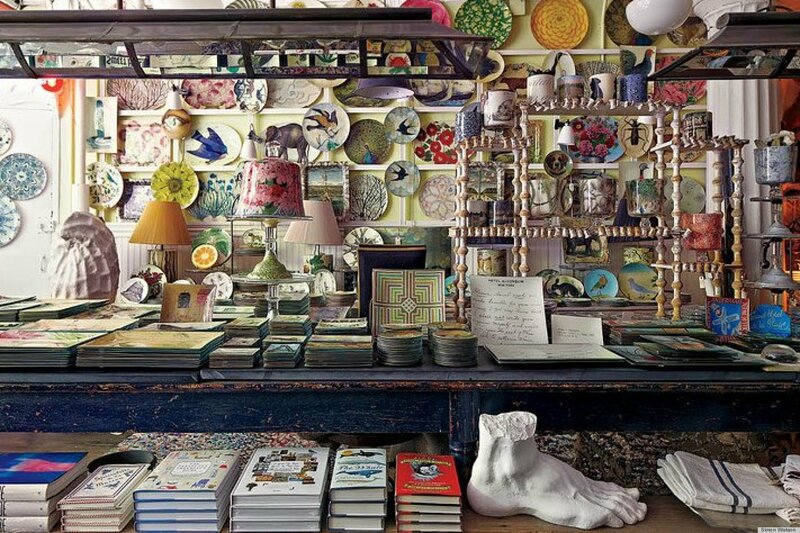 Like the three neighboring John Derian locales. Walking through them is somewhat transportive and incredibly beautiful. Steven Alan (230 Elizabeth Street @ Prince / Nolita). A store that looks as good as this from the outside usually scares me off (too expensive). But the clean lines and pops of color are hard to resist. Surprisingly, the summer sale turned out to be very approachable. In the words of my sales gal after she rung me up: So there you go…better than Zara. 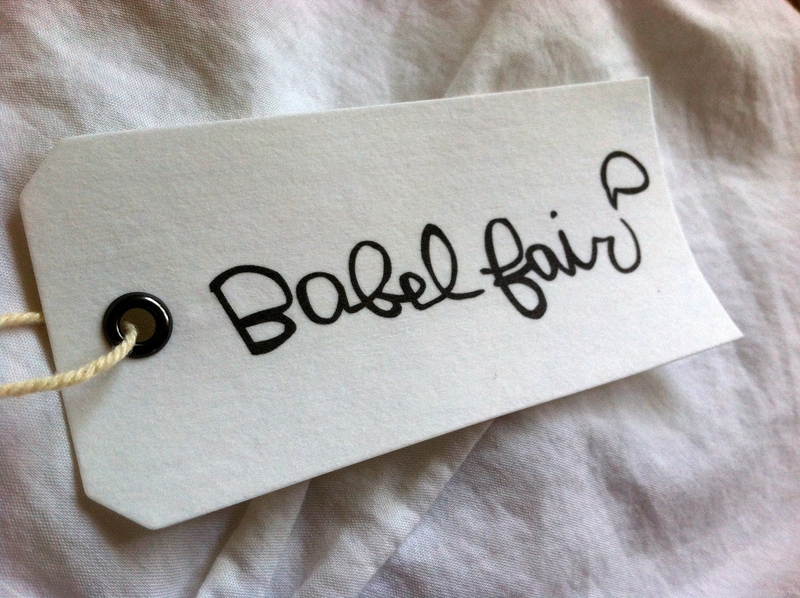 Babel Fair (260 Elizabeth Street @ Prince / Nolita). This eye-catching women’s boutique has a range of international designers and many pretty things. I especially like their “babble” blog. Chelsea Flea Market (W. 25th Street @ 6th Avenue/ Chelsea). Within walking distance from our hotel, this outdoor weekend flea market is great for picking through anything from antique lamps, textiles and accessories, to vintage clothing and ethnic jewelry. It’s a lot to take in but the condensed space is easy to navigate. 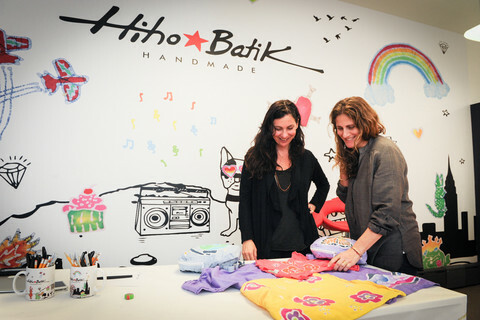 Hiho Batik (184 5th Avenue @ Berkeley Place / Park Slope, Brooklyn). At first glance, I couldn’t tell if this was a kids’ boutique, or a place to make art with your kids. Turns out it’s both. And it’s not just for kids. Using the batik-method of hand printing, this studio and store offers a selection of pre-made batik clothing and a place to do-it-yourself, if you like. We both found soft tees for our kids here. Pixie Market (100 Stanton Street @ Ludlow Street / Lower East). I loved this tidy store at first sight, with its white walls and uncomplicated selection of cool-girl clothes. When I unwrapped the dress I picked up from the shop, I noticed a clever paper sticker that read: Hey there, Pixienista. Hmm. How savvy, I thought, and went straight to find their online site which has more to offer beyond the retail space. PROJECT No. 8 (38 Orchard Street @ Hester Street / Lower East). This is the farthest south we walked. It felt like we had found a mini modern museum. There is everything from glass jewelry and graffiti markers, to clothing and bags. But I spent the most time with these witty and colorful key chains. Ah, NYC, when will we meet again? Next Postred lion pub, revised.